Lanissa Fortner is amazing to work with. I was intimidated by the entire process of selling my home before I reached out to her. From the moment she stepped in the door to give me excellent and reasonable suggestions for presenting my home for sale to the day I closed, Lanissa made the process relaxed and easy, and it was also very fast! I have and will recommend her over and over to my friends in the Billings area! It was my wife’s third house and my first. Lanissa answered every question I had immediately!! She always kept our best interest at heart, even when my wife wanted to look at another house that was a touch out our price range. Lanissa talked to my wife and got her to realize we would be stretching our paychecks too thin, even though that would have been a bigger commission for her. I will always recommend Lanissa to anybody who is looking to sell or buy a house. Thank you Lanissa!!! Lanissa is a real human being with a huge heart and a fantastic work ethic. 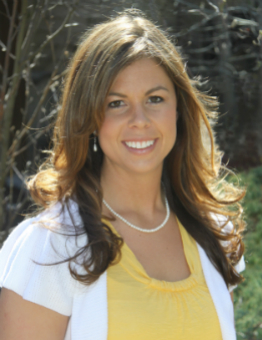 She has been our go-to-gal and highly recommend her… a true one of a kind realtor! When we were looking to buy a home, she listened deeply and found us just what we needed. A few years later, when we sold that same home, she attracted the perfect buyer in a short period of time. Lanissa is well connected to the Billings community so her people connections make deals happen! We were extremely pleased with Lanissa’s expertise and professionalism. Lanissa was responsive, knowledgeable and a pleasure to work with while selling our home. We listed our home and had an offer within a few weeks! We would highly recommend Lanissa as a buying or selling agent. Lanissa is very knowledgeable about selling homes and the local market, she was very thorough in her preparation, as well as in her explanation of the current selling process. She was very patient with us. We had not sold a house and had a lot to learn. Once a potential buyer was found, she kept us fully informed regarding the offer and following negotiations. The electronic file management system she used was extremely convenient to use. Her negotiations skills helped us achieve the maximum dollar amount for our home. We highly recommend her for your home sale. Lanissa is professional, personable, and knowledgeable. We had challenging circumstances in our relocation & search and Lanissa handled everything in a manner that made the process seamless for us. Lanissa has an incredible depth of knowledge, that she freely shares and made us confident in our decision in an unfamiliar area. We highly recommend that you engage Lanissa for your real estate search and purchase. Lanissa helped us buy our home and she was great! Always readily available by phone – either call or text. She was very responsive in answering our questions – or finding the answer as soon as possible. She always had our best interests in mind. She was honest and sincere – even when it may have been something we didn’t want to hear. We would use her again for any of our real estate needs and definitely recommend her to others. Lanissa helped us through selling our old house and buying our new house. Our house to sell was listed correctly and sold immediately. The house we bought had multiple bids and Lanissa helped us submit the winning bid. The exact moment I knew I wanted to work with Lanissa is when she told me, “I will show you any home you are interested in, but please know that I will be brutally honest with you about what I know about the property. At the end of the day, you are the one buying the house, but I won’t let you buy something that you won’t be happy with 5 years from now! :)” Even with a very busy schedule, Lanissa was very rapid with responding to any concerns I had and always kept my best interest at heart. She made my first home buying experience as stress-free as possible and every transaction went smoothly. She has a great upbeat attitude and personality, and I highly recommend her to anyone I know!